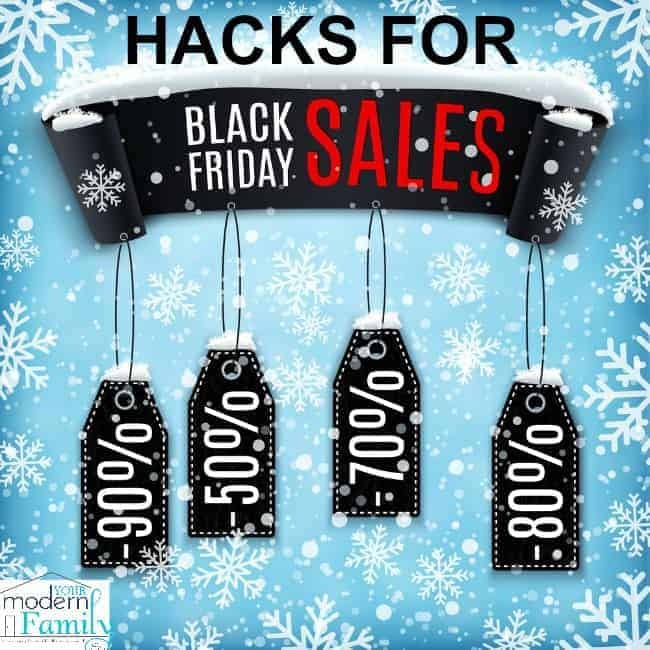 This year, I wanted to bring you my favorite Black Friday hacks. I love to shop, so it probably isn’t a huge surprise that I am excited for Black Friday this year. I am an ambassador of Sears, so I went shopping at their Members Private Night Sale on Sunday, Nov. 22 (it is an exclusive night of shopping for Shop Your Way members with early access to the same deals they’ll find on Black Friday.) I took some great notes for you and found some other great Black Friday hacks that I wanted to share. 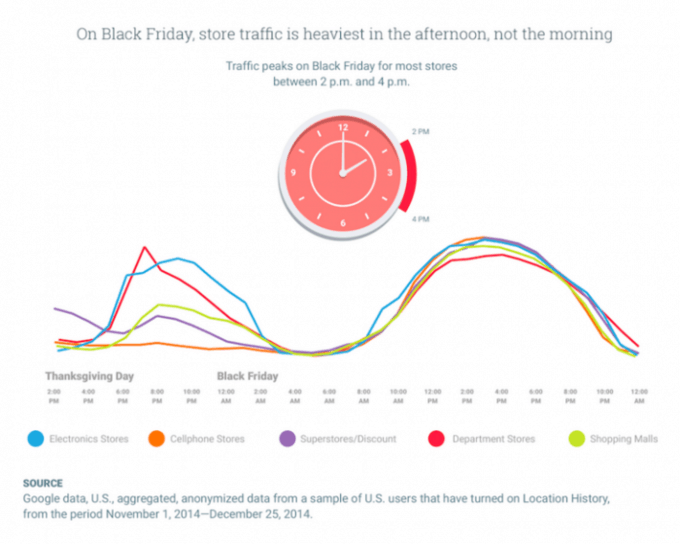 The WORST time of day to shop (business) is between 2:00 & 4:00 pm on Black Friday. Check for the item online. Most stores offer their black Friday deals online & you won’t have to leave the house. (Many offer free shipping, too!) For example, Sears Customers can order gifts on Sears.com, and have anyone pick up the purchase at any Sears store! Shop with intent. I am the worst (well, next to my mom) for going into a store for one thing and coming out with ten. If you are shopping on Black Friday, you’ve got to know what you want and get it, because chances are other people want it, too. See if you can go at night instead. Now, four years ago, you would never have caught me at a store at midnight (well… let’s be honest… you probably won’t catch me there now, either, because I have a dad & husband that would worry about me to no end if I went shopping alone at night). However, I do stay up very late & this is a great time to get the deals! If you are a night owl, get your must-haves as soon as the deal starts. Google says that department stores have seen a huge rise in foot traffic on Thanksgiving Eve–especially between 6-7pm. Do you really need it? Remember that it isn’t a good deal if you don’t need it. Even the best deal costs money. It’s not as bad as other days… According to Google’s data, (taken from anonymous smartphones that had location tracking turned on), most people shopped the week before Christmas. Scope out the deals ahead of time and make a list of what you want, in the order that you want it. If you want a TV, put it first on your list and head there first. That way if #5 is gone, it isn’t as big of a deal as if #1 were gone. To do this, just check out Black Friday deals at places like Sears & then head to get the Thanksgiving / Black Friday shopping holiday taking place on 11/26 and 11/27. Use gift cards to save the most money! I save up gift cards all year long to use for Christmas gifts. This year, Sears is giving one of my readers a $100 gift giveaway- just leave a comment telling me what is #1 on your shopping list this year. ps- Sears will open at 6 p.m. on Thanksgiving Day until 2 a.m. on Black Friday and will re-open at 5 a.m. for a second round of doorbuster deals. *For holiday hours per store, please visit your local Sears or check online at Sears.com. I love Black Friday shopping. My mom and I used to go together every year and make a morning of it, but we are expecting 9 inches of snow, so I probably won’t drive to town. I also refuse to go Black Friday shopping on Thanksgiving. I’m waiting for the day when it becomes Black Friday shopping again. I need to go to Sears tomorrow to buy a ladder and an ax for my husband! A new washer and dryer, ours is on the fritz and with a family of 5, we can’t be without! Thanks for all the great shopping tips! I love that Sears has the in vehicle pickup! Perfect this time of year! #1 on my list this year is a garbage truck and winter boots for my grandson! Halogen bulbs never actually had this feature, but if you wish to properly flood an space with gentle and get rid of annoying shadows then choose a bulb with a 100+ degree beam angle.